Promoting tourism in the country is an important aim of Malaysia. 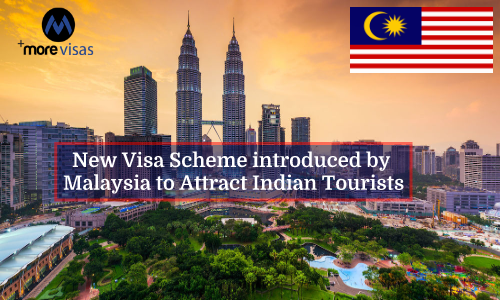 Prime Minister Najib Razak, is the first Malaysian Prime Minister to visit India and has made an announcement that the government has decided to waive all visa fees for all traveling Indians. He reminded that there was a historical bond between the countries. Moreover, Indian languages, films, food, and culture were very popular in Malaysia. Besides this, measures like online application processing within 48 hours and multi-entries were also being pursued. The government will ensure that all online visa applications will be processed in 48 hours. Malaysia tourism was popular with Indians. In 2016, it received 540,530 Indians. The recent development will boost arrivals and ASEAN and Malaysia will be benefitted in a big way. Malaysia is deeply interested in the lucrative tourism market and aims to provide an easy and cheap visa scheme. The Indian tourism market has been projected by the World Tourism Organi¬sation of the UNO to reach 50 million outward tours by 2020. Their spending is expected to be US$28 billion. Based on a report India could be next to China in business travel-related spending in the next 20 years. With the present process, the visa application of Indian tourists will not face any obstacle for a visit. The Indian tourists can now apply for a visa themselves, without taking third-party assistance. There will be an ease of obtaining the visa. Malaysia witnessed the arrival of 26,757,392 tourists last year. In the present year, there is an aim to attract 31 million tourists. India is the sixth top tourist source market of Malaysia. Indians today spend enormous sums for medical tourism and overseas weddings.